One of the best parts of summer is playing outside in the dark. 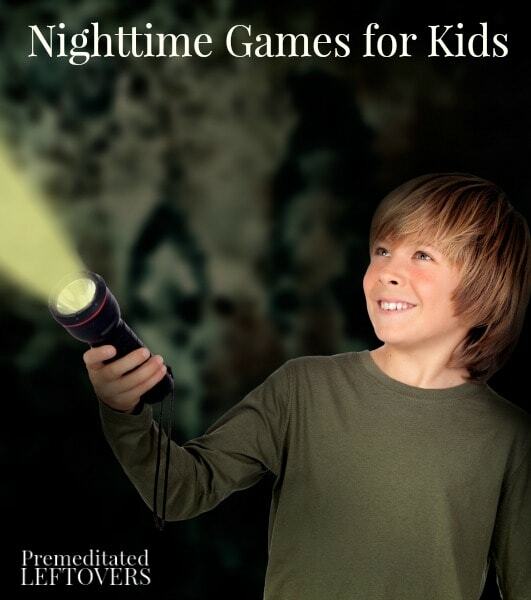 Here are four fun night games for kids, including flashlight tag and ghosts in the graveyard. Growing up, one of the greatest things about summer is the longer daylight. This allowed for more time to play, and there was a decent chance that you would get to play into the dark if Mom and Dad was outside. Flashlight tag and other night games for kids can give you the chance to enjoy warm summer nights with your kids. 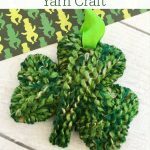 There are lots of games and activities you can teach your little ones so they learn to have fun without watching TV or playing with personal electronics. 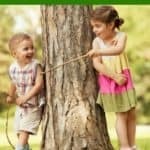 Here is a look at just of few of the fun games your kids can play outside at night this summer. Flashlight tag is essentially hide-and-seek taken to a whole new level. One person is chosen to be “it” and is given a flashlight. Everyone else gets to hide in the back yard and wait to be found. The person who is “it” uses the flashlight to find everyone who is hiding. The first person to be found then becomes “it,” and the game starts over again. This game works for groups of kids, but it can also be played by as few as two people. This game is similar to flashlight tag, but the roles are somewhat reversed. One or two people hide in the dark. These people are the ghosts. Everyone else hunts through the yard or park with flashlights looking for the ghosts. Once the ghost is found, that ghost hunter wins the round. This is also a fun game to play on Halloween night if the weather permits. There are no rules for this activity, but it is a classic game that every child needs to experience just once. Give each child a jar with a lid (make sure there are holes poked in the lids). Set the kids out at dusk to start looking for fireflies. These bugs are really easy to catch. When placed in the jars, they make fun nightlights. Be sure to release the bugs when everyone is done for the night. The gentle fireflies won't bite, and they are truly wondrous creatures. You'll need glow sticks and glowing bracelets or necklaces for this activity. Each team will need to wear a separate color to help play the game. Each of the glow sticks that represent the flag in this game should match the color of a team's glow bracelets and necklaces. Give each team enough time to hide their glow sticks within the perimeter of the playing area. You should make sure that they are hidden within reach and not buried in such a way that they would never be found. Once the “flags” are hidden, each team tries to “capture” the glow sticks of each opposing team. The team that finds the most wins the game. 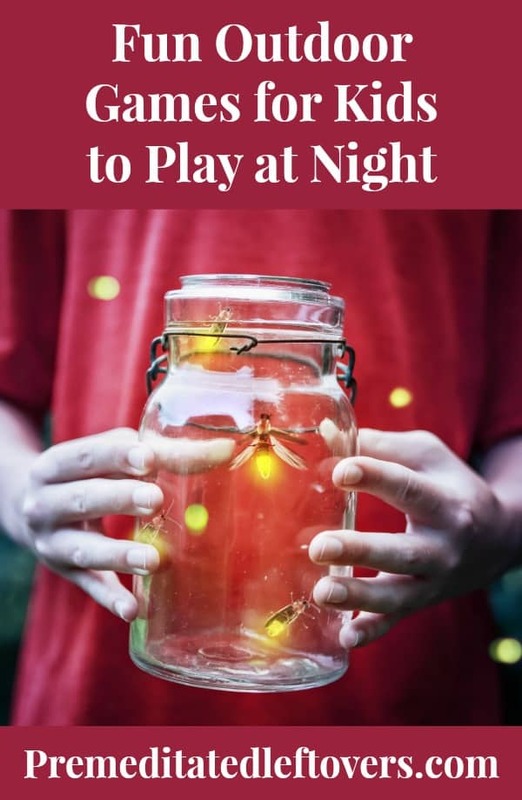 Flashlight tag and other nighttime games for kids let you and your children get the most out of summer break. Just because the sun goes down doesn't mean that summer fun has to stop. Surprise your kids with an impromptu outdoor game at night. You might even want to finish off the night with a campfire and some s'mores for a classic family evening of fun. 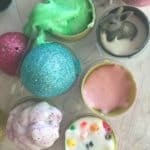 You can find more ideas for frugal summer fun for kids here as we share a new frugal summer activity for kids each day for 100 days! We don’t have fireflies 🙁 Your other games are great summer evening suggestions though. Another summer favorite of ours is kick the can – a great game for playing at dusk.